Reach for Planters Walnuts when you have a craving for buttery, rich flavor. Walnuts are a good source of omega-3 fatty acids and a healthier alternative to satisfy your snack cravings. 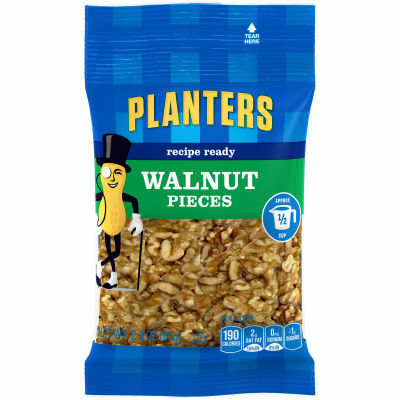 Great on their own or mixed into your cooking or baking, Planters Walnuts will always deliver quality flavor. These walnuts are available in a convenient 2.3 oz bag so they'll stay fresh between snacking. Serving size 1/4 cup (29g).